Danny Aiello had his annual Christmas party at The Triad last night and BroadwayWorld was there. There are some performance events around Christmas time that we are lucky are not known by the general public so it is easier to get in. They are those special celebrity parties that the “insiders” go to. Danny Aiello has been having that type of Christmas music show for the last three years and it’s a coup to get a ticket. This year he had to play two shows back to back at The Triad to satisfy his friends, and probably next year he’ll have to do a week to accommodate his fans. 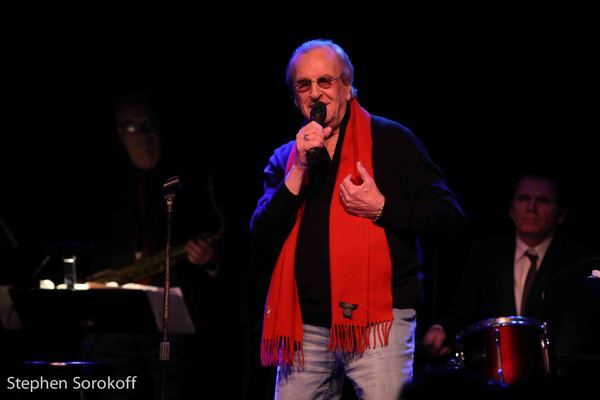 Danny Aiello & his band Joe Geary & the Guys had their 3rd Annual Christmas Party yesterday – a holiday celebration filled with music, memories & laughter – with a collection of songs from Danny’s five albums. With great reviews from both The New York Times & LA Times, Aiello delights fans with a unique flair to his holiday favorites: “His voice warm & amiable…a pure manifestation of the abundant life experience he brings to his art.” A NYC treasured holiday event that raises your spirits as only this Academy Award Nominee can.